Planning a short getaway for two? Or a solo staycation with some 'me time'? 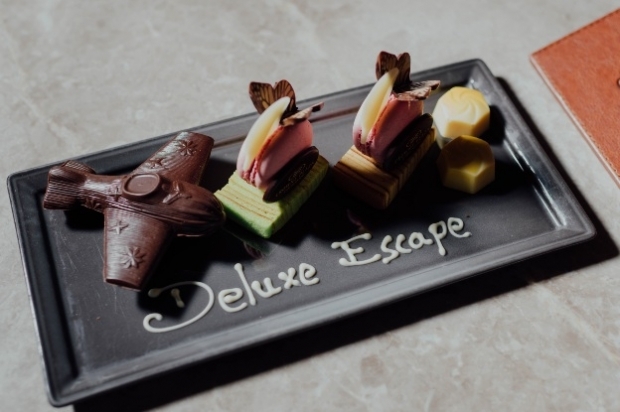 Escape to our Deluxe Room for a private High Tea session, complete with a mini Prosecco (200ml) and live your best life at Crowne Plaza Changi Airport. Sip on sparkling wine in our bathtub and savour pastries while binge-watching movies in bed. Enjoy life’s little luxuries with our Deluxe Escape Package. Offer is valid from now till 30 April 2019. Not applicable for groups and cannot be combined with any other offers. *Country list for complimentary IDD calls: United Kingdom, United States, Germany, China, Hong Kong, Taiwan, Australia, Indonesia, India, Japan and Malaysia. Check out ​Crowne Plaza Hotel Changi for more details about this offer and to book your accommodation now!